Gardeners information on cut flowers and green material for display. A view of gardening to help the flower arrangers and florists. Prior to collecting material get your gardener to spray an insecticide to prevent pollen beetle and other insects being imported. 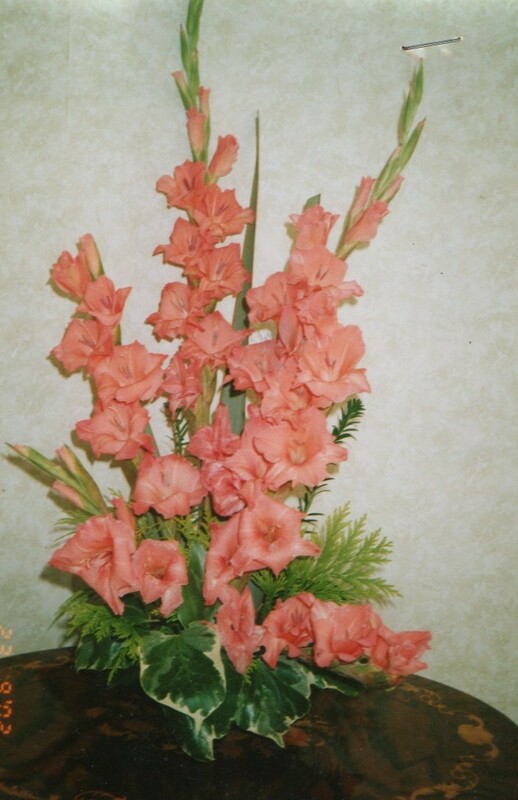 All flowers will last longer if a foxglove is included in the arrangement. If they are not desired or available make a tea by pouring boiling water on foxglove leaves. When cool use the liquid with water. For delphiniums and larkspur add sugar don’t bother with the old Wive’s idea of an old penny (give it to the gardener). For daffodils and narcissus add charcoal or camphor to the water and preferably keep them from other flowers. 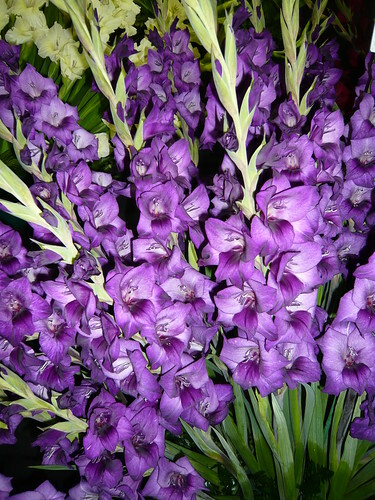 Topmost buds should be nipped from gladioli, snapdragons and delphiniums. Heathers without water will last for weeks in the house without withering or dropping needles. Many spring flowering shrubs will last longer if picked in bud rather than full flower and stood in hot water first. Try this with Forsythis, Wintersweet, Witch hazel and willows. If flowering shrubs must be used the whole shoot should be taken down to two buds above old wood. Leave enough leaf material for plants to regenerate. 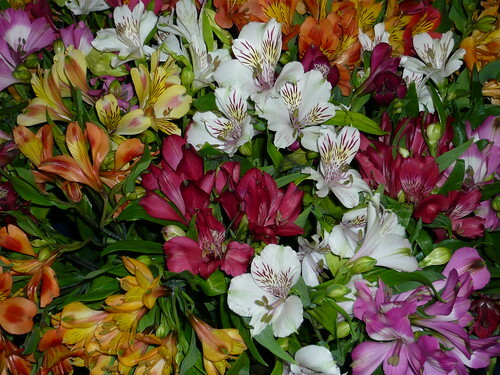 Old flowers may be about to set seed and will not last long in the arrangement. A flower that need little specialist care or treatment and is easy to harvest. Reblooming often and for a long season so it looks good even when left uncut. Grows quickly and true from seed. Can be forced, so it flowers when required. Satisfies the recipient for the least consumption of resources in time and space. Fill your clean vase with lukewarm water, that will have less oxygen, to prevent air bubbles blocking the stem. Fragrance that is evocative, strong and distinctive. Texture and proportion that can provide contrast of shape and form.Suitable length and flower aesthetics to match a display vessel. How long will it last in a vase or foam and will it need any special treatment or conditioning. Availability for a long period from a variety of suppliers. The North of England Horticultural Society. The North of England Horticultural Society (NEHS) is over 106 year old and has been the premier gardening and horticultural charity supporting the north of England through out that time. It is independent of the RHS! The NEHS is not to be confused with Northern Horticultural society 1963-1988 or The Northern Horticultural society 1988 – 2009 which were subsumed along with Harlow Carr gardens by the RHS. Their magazine ‘Northern Gardener’ was replace by RHS publication The Garden. Every spring and autumn the NEHS organise the Harrogate Flower Shows, widely regarded as the biggest and most prestigious independent shows in the gardening year. In autumn there are ‘shows within a show’ featuring displays by 20 different specialist groups. The autumn veg are fantastic, spring flowers are fine and the shows feature many retail opportunities to help with the charities funding. Profits from the Harrogate Flower Shows Ltd are handed back to the NEHS, to enable the charity to continue its important work in promoting horticulture. The NEHS grant programme is aimed at community societies, friends groups and organisations committed to improving their local landscape. They also support those seeking to build a career in gardening and encouraging schools and colleges to become involved with horticulture through hands-on activity and development. Over the years the Yorkshire thrift has seen an accumulation of over £1m in investments with £1.3m reserves at the end on 2016. The 2018 show is open 26th to 29th April from 9.30am to 5.30pm Thursday, Friday & Saturday; 4.30pm Sunday.